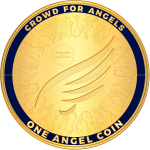 Crowd for Angels is a regulated crowdfunding platform established in 2014. Our aim is to disrupt crowdfunding through the use the of blockchain and smart contracts. We have adopted a new type of fundraising on blockchain, through the tokenisation of bonds, shares and other assets. This is commonly known as a Security Token Offering (STO). We were the 1st regulated crowdfunding platform to open a crypto payment gateway, create its own ERC-20 token (ANGEL), and to offer a security token sale. 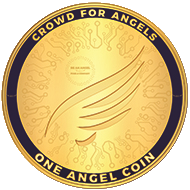 Our ANGEL token (0xf150b9054013552a6288320dc4afe1beebb79d8e) was successfully generated on 31st March 2018. The ANGEL token was listed on the GetBTC exchange on 12th April 2018, providing holders with a platform to buy and sell. 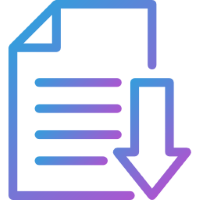 The tokens have been issued to investors in accordance with the whitepaper and we have commenced with our reward initiatives on our platform using the token. The Bond proceeds are to be used by Crowd for Angels to invest in or acquire secured crowd bonds listed on its own platform. Bondholders will therefore indirectly gain investment exposure to the bonds listed on the Crowd for Angels platform by investing in the Bond. In this way, they benefit from the advantages of what will be a diversified portfolio of bonds. In order to study the tokenomics of the ANGEL token an agent based modelling was employed. The agent based model allows an exploration of the interaction of the different parameters down to individual events, and the explicit modelling of variance induced by exogenous factors. Therefore, it is a robust way of forecasting the future value of the Angel Token. This is simulated by applying Gaussian noise to the exchange rate. Based on the information, the model indicates that the exchange rate of the token is likely to reach parity with sterling within the simulation timeframe. The plots below have been based on a 1,000 simulations. Full details of the parameters used, a copy of the code and justifications can be found in the academic paper. Forecasts are not a reliable indicator of future performance. Enter your email below to be kept up to date with Crowd for Angels news. Tokenised Securities: Is 24 hour trading a good idea?